From This Side of the Pond: Wednesday Hodgepodge Vol 24...that's a W, right? Welcome to the Wednesday Hodgepodge. If you happen to be visiting from the A-Z challenge you'll find today's letter under question #8. 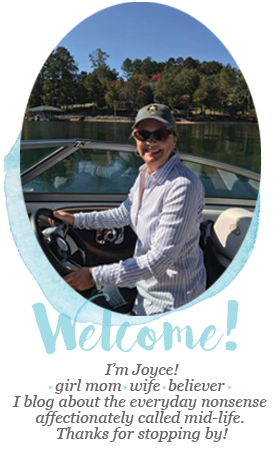 You are welcome to join the fun today or any Wednesday...just answer the questions on your own blog and then link your post at the bottom of mine. 1. What is something that bothers you if its not done perfectly? Hmmm...I like the towels folded a certain way when they come out of the dryer. Doesn't everyone? I also like the pillows on the beds a certain way. And I like the table set a certain way. And the books on the coffee table need to go a certain way. I think that's all. At least that's all I can think of right now. In spite of how this answer sounds I'm really not nit picky. The first thing that came to mind was a trip to the circus. I know that doesn't sound like much but it was a big deal. My dad had been overseas and not long after he returned home he and my mom took all four of us kids to see the Ringling Bros. circus. I was in the 4th grade and I don't remember ever having been before that day plus we were picked up early from school which made it all the more exciting. My dad did not spend money wily nily and taking a family of six to the circus was not an inexpensive thing to do, even in 1970. One thing all four of us kids remember from that day was that my dad didn't seem to say no to anything. We had cotton candy and ice cream and cracker jacks...whatever we asked for he said sure! All four of us kids remember this day as special and count it as one of our happiest childhood memories. I think about that day sometimes and wonder if kids today (my own included) still feel like a simple outing is truly special. In general I think parents today are much more indulgent (third graders with cell phones?) and I know we had to work hard to save certain things and experiences for our girls as they were growing up so they would feel like special treats. 3. Do you plan to watch the Royal Wedding and when was the last time you wore a hat? I wore a baseball hat to the grocery store the other weekend since it was early and I hadn't done my hair yet. Kind of like a disguise. And I lived in a hat this winter because hello, winter was brutal and only ended here about a week ago. I last wore a fancy shmancy hat to an English tea hosted by my women's club in the UK. So fun! I miss these girls. 4. 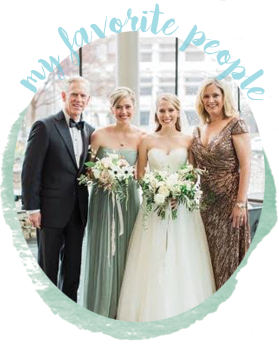 Where do you fall in the birth order in your family? Do you think this has influenced your personality? I'm the third of four children and I think there is something to birth order. Typically middle children are flexible, diplomatic, competitive, peacemaker...those all fit. Hubs is a first born and common traits among first borns are they're movers and shakers, natural leaders, perfectionists, assertive, and driven. Check. I taught kindergarten I could generally tell who was a first born, who had older siblings, and who was an only child. Not criticizing, just saying I think certain characteristics hold mostly true when it comes to birth order. 5. Where do you think you spend most of your money? That's easy. University tuition. When daughter1 started uni in 2006 someone turned on the money faucet and it has been running, not dripping, definitely running steadily ever since. We're on the home stretch now though! Lately home improvement is getting in on the action too. 6. When you need to confront someone would you rather communicate in person, by phone, by email or by letter? Why? Oh cringe. I hate confrontation (see question #4). Can't we all just get along? I guess it depends on what the confrontation is all about...I would go for an email if I could get away with it. If I can't then that means its probably a conversation that needs to happen in person. 7. Dodgeball, freeze tag, kickball or jump rope? You have to pick one. Definitely not jump rope. Women over a certain age don't need to be jumping rope. Or jumping period. Just sayin'. I'd choose kickball. This will be my last A-Z challenge post included as my random thought in the Hodgepodge. Next Wednesday we're into May and the A-Z challenge is over. I'll be back to my normal random in this slot next week. Lucky you. Waddesdon Manor is a magnificent country house set in the village of Waddesdon in the UK. It was not all that far from the village where we lived so it made for a nice day trip and it was a pretty spot to take visitors. 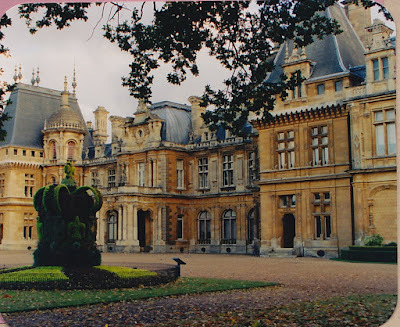 The French chateau style house was built in the late 1800's for Baron Ferdinand de Rothschild and since the late 1950's has been in the hands of the National Trust. 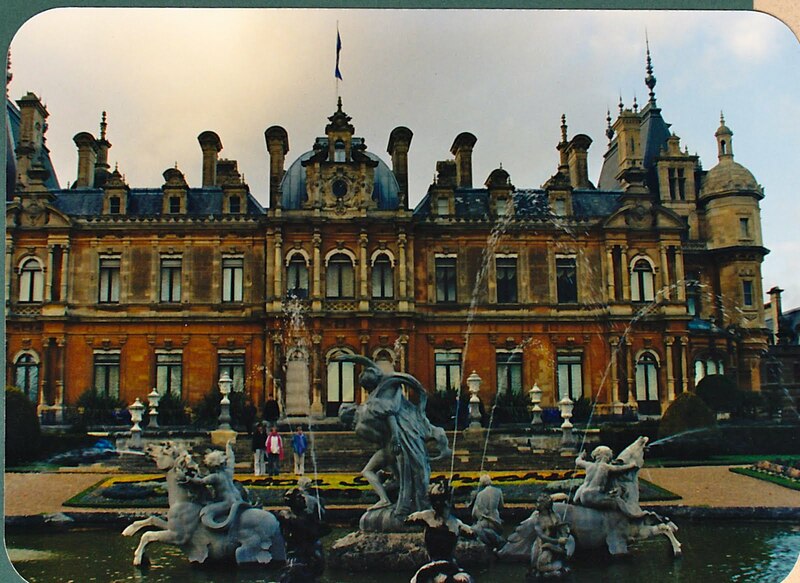 If you saw the movie The Queen some of the interiors and gardens of Waddesdon were used for the Buckingham Palace scenes. 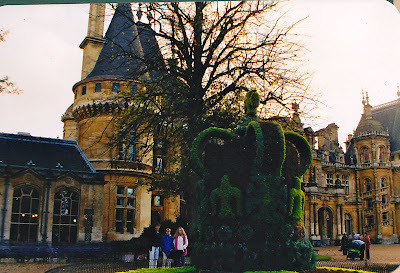 The house contains 45 rooms and its Victorian garden is considered one of the best in Britain. There is even an aviary stocked with species that were once a part of Ferdinand's collection. 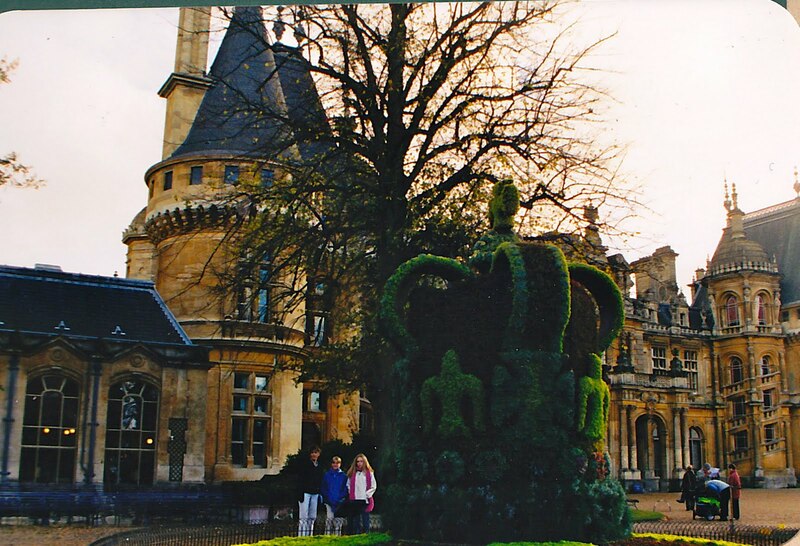 I've been to Waddesdon often so I feel like I can call him Ferdinand. *giggles* Your reply to jumping rope made me chuckle. I love the photos of the hats! I went to a tea party the other week and lots of ladies wore hats but I didn't have a pretty one to wear (baseball cap and winter hat don't count as "hats" apparently) I really need to invest in a pretty hat! Was really neat learning a little about you via your W.Hodgepodge Q&A. Also, beautiful photographs...that is such wonderful architecture. The last image is beautiful, with the countryside and the double rainbow. So pretty! That's some country house! 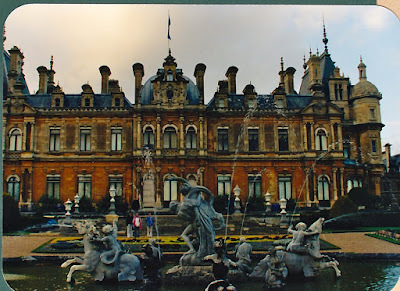 I've visited Windsor, but not Waddesdon. And we all need to wear fun, fancy hats more often. Maybe next the NJ bloggers meet we should meet at a tea house! I finally remembered to join in today!!! We tried to make outings a special treat for our girls--we had the beach so that was a daily thing as were parks. But we had special things to do--anything that cost money. LOL Third graders with cell phones? Uh...No. Our girls did get cells when they got their driver's license though--I insisted. I remember fondly going to the circus it was a big deal and expense. Love your fun hat...I'm a hat girl which is good because I have horrible hair. Never wore such a fancy hat since my childhood easter bonnet days. I'm with you no jump rope matter of fact no running or laughing either all same result! I like my towels folded a certain way as well. Love your circus story! Loved your pic of the hats!!! Okay now you got to read my answer to #7!!!haha. Right with you on college tuition--now one in pharmacy school and still one as a junior in college--Our faucet continually drips!! Loved the hat picture. I love tea parties. Loved your jump rope comment as well. Great questions this week. You always do such a fine job with the Wednesday Hodgepodge! I love your hat photo. What better place to wear a hat than to a proper English tea! Food for thought: Handsome Dude is my 3rd born. Joyce I just love all your travel pictures. So cool. That double rainbow is awesome too. I agree on the birth order thingy and the confrontation thing. I actually had a fight with my mom before I was married and still living at home about the way the towels were folded. I folded them in thirds and she didn't like them that way. I said I couldn't wait to have my own home and fold my towels however I wanted. LOL. Don't you just love walking down memory lane and revisiting some of your childhood memories? I sure do...I have so many of them! I think that's why I try so hard to make memories with my girls...so that they'll look back with a smile on their faces and warmth in their hearts. I really love that double rainbow...such a rarity! I wish women wore pretty hats more often here. I love them. LOL about jumping rope. Yep, I agree. Your answer to #1 reminded me of other things I like done a certain way -- how towels are folded, how the dishes are arranged in the cabinets, where certain things go in the refrigerator, etc. I am the same way about confrontation. Absolutely love the hats! I like things a certain way, but in my testosterone-filled world, I've learned to close my eyes and let it go. The rainbow picture is gorgeous, and I must say that I'm going to miss "traveling" with you when you've finished the A-Z challenge. I've really enjoyed it! WOW...is also for "check out the comments and linkage on here today! You rock Mrs. Hodgy Hostess!! 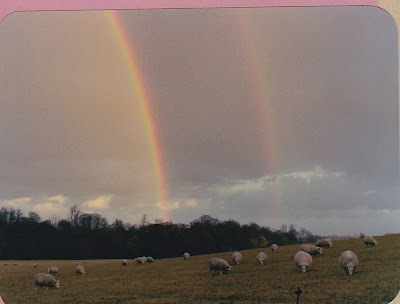 I love the English rainbow picture...and you in your schnazy hat. I wish I had more British loving friends...cuz I'd SO throw a royal wedding bash (complete with hats)...but I think it's just me and my Pastor's wife watching it Friday...that I've heard of anyhew! Are you going to be watching the wedding this Friday? Enjoyed your answers. I was 18 when I went to a Ringling Bro. Circus for the first time with a couple friends. Good memories! Loved your pictures. Beautiful! Wow is right! So rare to see two rainbows! I forgot about the circus. My parents took us when we were little too. Another special memory. Too bad we have so few pictures from that time of life. Hope you have fun watching the wedding on Friday! Oh, I would probably fall over the jump rope if I tried to do that! and your pictures are gorgeous...especially the rainbows. I so relate to your comment, "I miss these girls." It seems wherever we live, we take our friendships with us. These are friends who will last a lifetime. In many ways, they can understand us and the life we have lived better than our stateside friends who just cannot relate. I guess those are the ties that bind, eh? I really enjoyed this post. Visiting with you from Debbie at Just Breathe. Can't believe I didn't leave a comment this morning. #1I'm not that particular anymore but I use to be. The circus sounds like a very nice memory. I can't wait to watch the wedding.